As so many of you already are well aware; Cozumel is the number one cruise ship destination in the Western Caribbean and if you have been here you may know just why. So why is Cozumel such a popular vacation spot in Mexico?? Some of the obvious reasons are quickly coming into your thoughts as you quickly think well it’s obviously a beautiful island in the caribbean right. Diving in Cozumel is some of the best scuba diving in the world. Despite all of this there are other reasons as to it’s popularity. One of those reasons you may or may not have thought of a minute ago is the fact that Cozumel is at the heart of Mayan Culture. This being the case that means there are plenty of great Cozumel cultural tours and events on Cozumel and throughout the Riviera Maya that you should definitely take into consideration during your vacation to Cozumel. 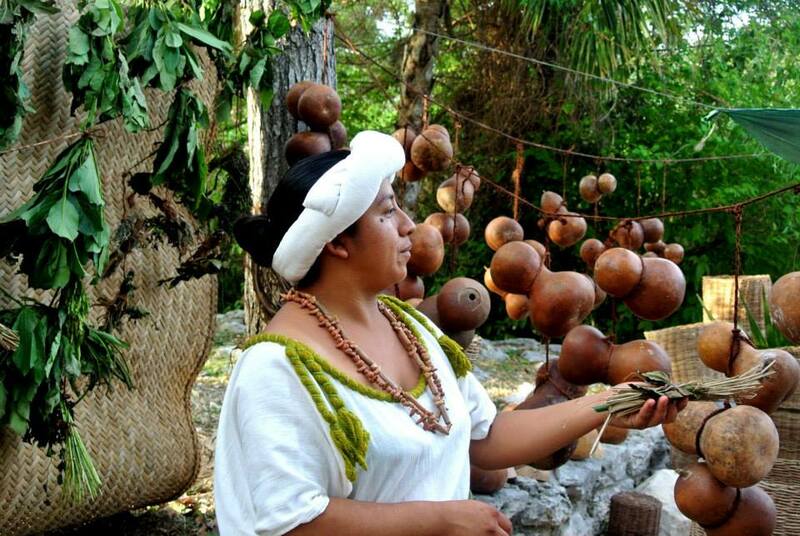 One the the true testaments to that is the many Mayan traditions that are still taking place throughout the Riviera Maya. This month and in fact today is one of the very authentic Mayan Traditions which is the Travesia Maya or, “Mayan Crossing”. While we obviously have a great passion for the amazing marine life and Diving in Cozumel and the Riviera Maya, we also appreciate the beautiful culture of the Mayans. So while in Cozumel we encourage you to take a break from your other Cozumel Activities at least once to witness and learn more about the this sacred mayan event which is taking place today and tomorrow! 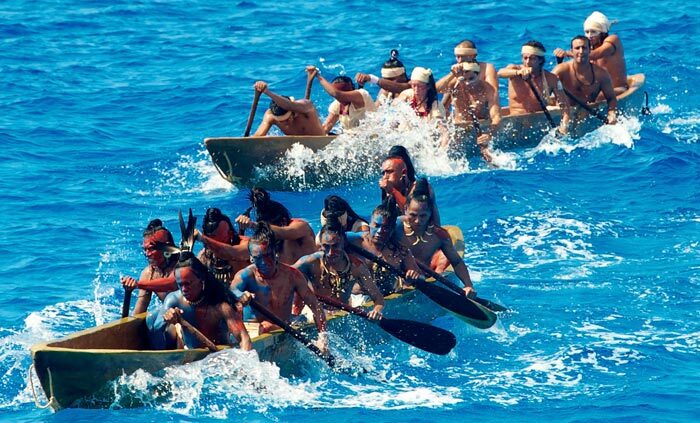 The event begins leaving from the Xcaret Park in Playa del Carmen as 400 participants men and women who have been preparing for months make a sacred mayan pilgrimmage to Cozumel to honor the Mayan Goddess Ixchel. The participants will arrive from Playa del Carmen at Chankanaab Park. This will mark the 10th year in a row that this Sacred Mayan Tradition has been restored thanks mainly to the INAH (National Institution of Anthropology and History). The ritual orginally dates back to 1250 A.D. amd continued until around the year 1519 A.D. in which the ritual pratice was stopped. This sacred pilgrimmage to the island of Cozumel which was dedicated to the Mayan Goddess Ixchel who was the Goddess of fertility. The journey was made and after arriving to Cozumel the Mayans would make offerings to the Goddess to receive her guidance and blessings. The sacred mayan crossing now honors the tradition following with the traditional rituals, dances, music and even traditional Mayan canoes thanks greatly to the experts and historians. Men and women prepare both mentally and physically to participate in the great Cultural tradition with no less than 6 months of constant preparation and practice. This particular tradition is unique to the Yucatan Peninsula and is something we highly recommend you and your family check out during your Riviera Maya vacation. Well with that said we hope that you will investigate further into the amazing Mayan culture and that maybe you will make it a point to check out this amazing experience in Cozumel. This is one of the best Cozumel events that you can witness.